As part of the 2015 POPSUGAR Insights Food study, we surveyed female visitors to POPSUGAR to better understand their grocery-shopping behaviors. 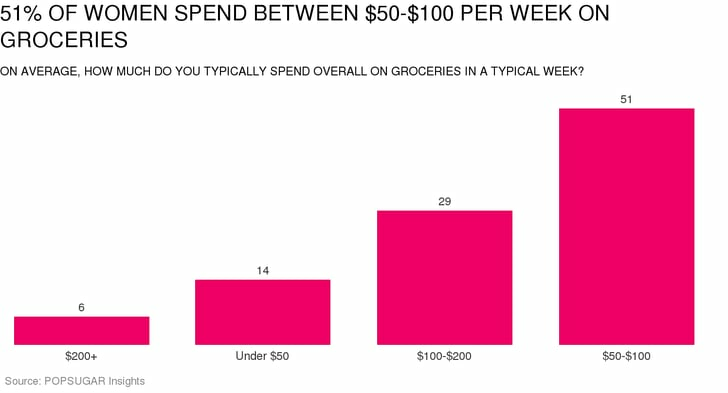 Overall, 35% of women typically spend an average of $100 or more per week on groceries. Fifty-one percent of women spend between $50-$100 per week, 29% spend between $100-$200 per week, and 6% of women spend over $200 per week.